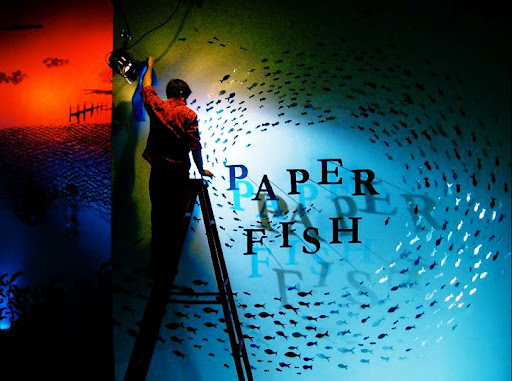 Paper Fish is an installation that Kathey Fahey put together based on the making of a music video we shot this past February. Kathy and I were approached by Andy Stack of Wye Oak back in December about making a music video around the idea of a shadow puppet show. Andy had much of the concept laid out in his head based on Jenn’s song Fish” off of the recent “civilian” and left the rest of the “execution” up to kathy and I. Andy and Jenn were so generous to let us work in this way and we had a blast doing it. They gave us broad ideas of what they were after and let us run with it. We met weekly as Kathy (with help from many friends) began cutting figures out and developing the characters. At the end of about a month and a half of prep, we shot the video in a (14 hour) day and the very talented and patient Owen Lang cut it together in record time. 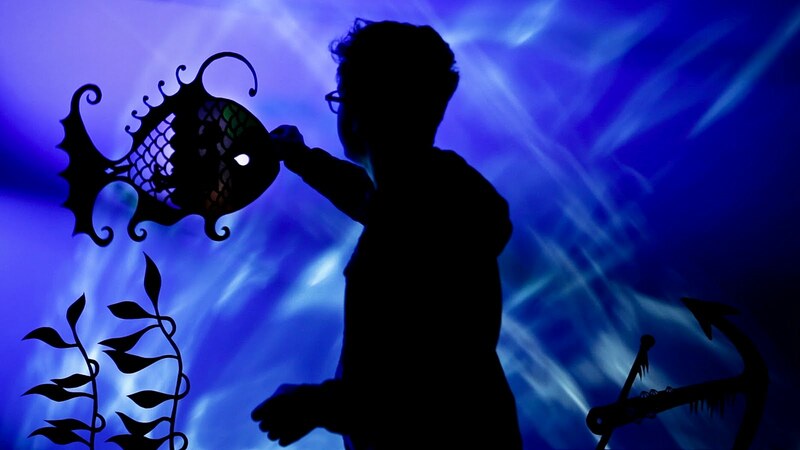 The Metro Gallery show of Paper Fish was the debut of the video and all of the Characters currently hang in there to show the viewers a little better what exactly went into it. I’ll post the video here once merge records does their official release. Until then visit The Metro Gallery if you’re in the Baltimore area for a more intimate viewing of an incredible work of art.